A new app developed with the guidance of people using mental health services in Cork has been launched. 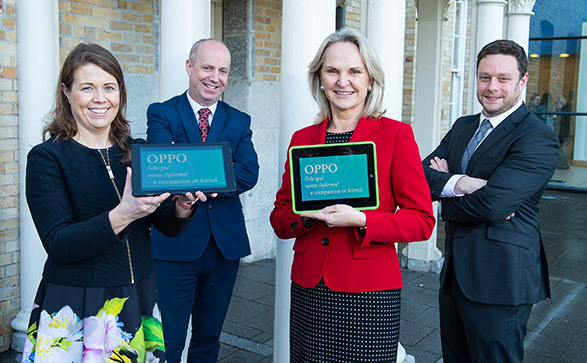 OPPO (which means companion or friend) is funded by Cork Kerry Community Healthcare mental health services, and aimed at people using mental health services in the North Lee area. The app was launched by Minister Daly at the School of Nursing and Midwifery, UCC Brookfield Health Sciences Building. The app was developed by Johnny Goodwin, Mental Health Undergraduate Programme Lead, School of Nursing and Midwifery and John Cummins, Clinical Nurse Manager, in collaboration with University College Cork. OPPO is believed to be the first mental health app designed based on the recommendations of people actually using mental health services. The development of OPPO was informed by a study which Mr Goodwin conducted which showed that many mental health apps have limited inclusion of those using services. Interviews with people using North Lee Mental Health services were carried out as part of the process of developing the app. It provides maps to services in the North Lee area. It has a well-being tracker so that those using it can describe their recovery on a diary, using a rating scale, colour or photos. It can link to a user’s calendar and provide reminders of appointments. It provides guided meditation options. Speaking at the launch, Head of Mental Health Services with Cork Kerry Community Healthcare Sinead Glennon paid tribute to Johnny Goodwin and John Cummins for the inclusive way they developed the app. “In Mental Health Services, we continually strive to keep the person at the heart of everything we do. 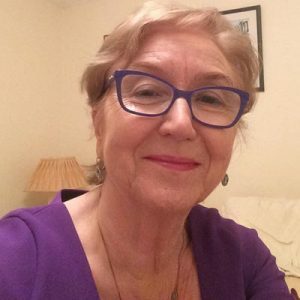 Not only has this app has been developed in the spirit of person-centredness, but it also enables people using our services to be empowered and informed,” Ms Glennon said.